The historical impact on Kolkata has led to the popularity of Bengali cuisine. India was administered by the British for more than two centuries, and Calcutta was one of the significant check-posts for them. Individuals from various societies and groups rushed in various times, thus building up the affection for food in Bengal. As the Jews conveyed pastry shop to Bengal and sweet making skill was contributed by the Marwaris, so did the ousted groups of Wajid Ali Shah and Tipu Sultan contributed mainly to the aromatic excellence of Mughlai cooking in Bengal, particularly Kolkata. 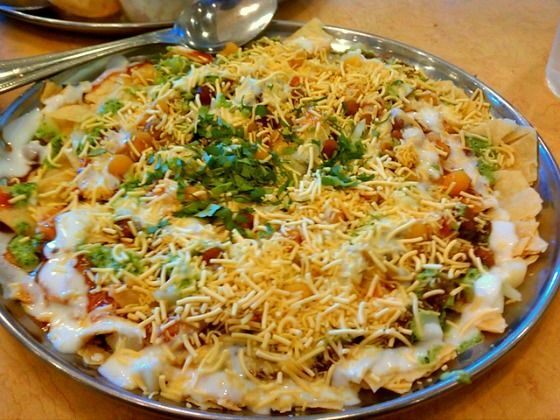 Below are some of the must visit Mughlai joints of the City of Joy. This eatery, having two distinct branches, specializes in Awadhi cuisine and the ambience is in perfect synchronization with the name. It offers you a feeling as if Khansamas and Awadhi bawarchis are toiling hard to offer you a taste of mouth watering dishes from the royal court of Wajid Ali Shah. Located at Santosh Roy Road, this is known as the best restaurant to serve Biriyani at present. It is established in 2015 and is very young compared to its experienced competitors. However, within just one year, it has received the highest ratings. The place is best suited for casual dining. Aaira is best known for its Mughlai as well as North Indian cuisines. The menu here ranges from gosht zafrani shorba to papri chat, from whole bhetki tandoor to murg nuraani kebab and so on. The dishes are all prepared traditionally by the top culinary experts. This eatery is both a celebration and an experience. This is one of the oldest restaurants in the city to offer great Mughlai dishes. Shiraz golden Restaurant now has near about six outlets and is the hot favorite of majority of the Kolkatans. The oldest of the branches is at Park Street and this is the branch you must visit. If you are planning to enjoy some delicious Mughlai dish in a legendary restaurant of Kolkata, the royal Indian Hotel is the perfect name. It has been wining hearts, since 1905 and is known to have mesmerized Mahanayak Uttam Kumar. It is successfully holding its glory and charm even today. The irresistible kebabs and smoked fishes are the specialties of Mughlai dishes. Next time you plan for an outing with family or friends, consider visiting one of these places, to taste the best Mughlai dish ever. I have had the opportunity of eating three to four kinds of phuchka till this date. 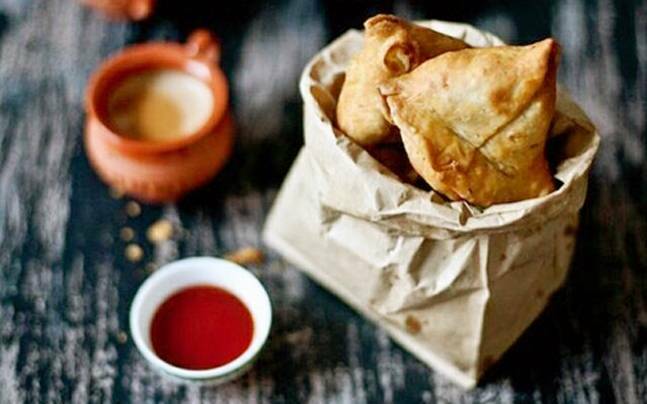 How many types of phuchkas have you had? Well, let me ask you more specific question. Have you in your lifetime eaten seventeen types of phuchkas? Forget about eating, have you ever even or heard about seventeen types of phuchkas? Don’t think I am joking over here. I am dead serious. Chocolate Phuchka– The phuchka with a chocolate flavour. Seems divine. Dhokla Phuchka– A bit of Guajarati touch to your phuchka just brings the necessary amount of uniqueness. Schewan Phuchka– I think everyone is quite familiar with this flavour but, I am sure that none of you have ever tried it on with phuchkas. 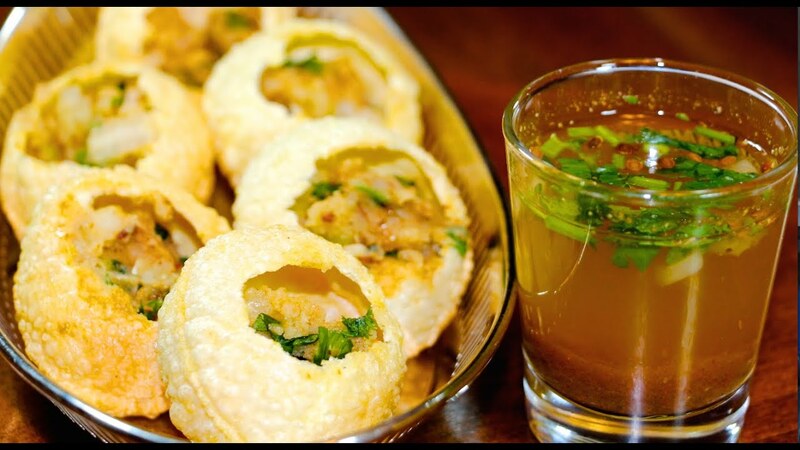 Bullet Phuchka– You will be experiencing the passing of a bullet through your head after eating this phuchka but, don’t be afraid. You won’t die. Dahi Papri Phuchka—the phuchka will be having the stuffing of a mixture of papri and curd inside it. Chana Masala Phuchka– This time the stuffing is of chana masala. Chur mur Phuchka– You must have had chur mur, as it’s a common street food anywhere in Bengal. Just imagine what it would taste with phuchka. Yummy, right? Shukha Special Phuchka– This is a type of Phuchka without the tamarind water but with certain extra spices and special stuffing. 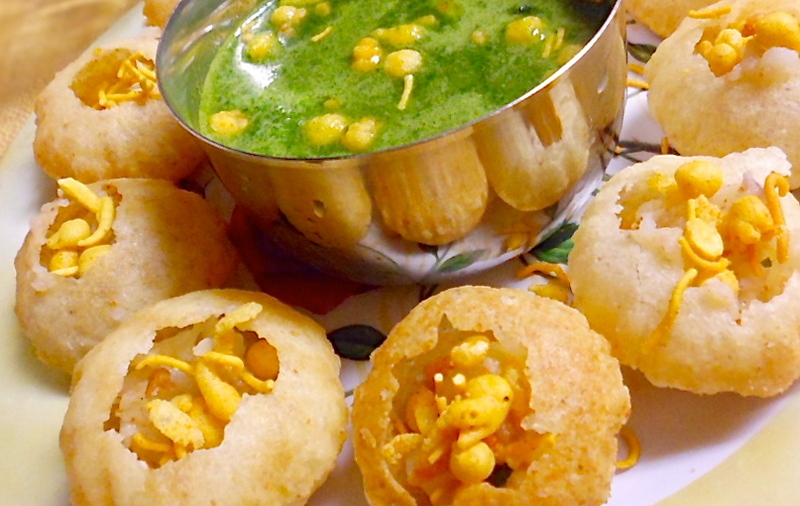 4 Types of Water Mix Phuchka– Phuchka served with four different types of water mix. Tomato Phuchka– Stuffing made out of phuchka. Ghugni Dahi Phuchka– The stuffing is a mixture of ghugni and curd. Rocket Phuchka– If I give out all the information all your curiosity will be lost. So, just go and try this one out. Pravesh might just be twenty years old but, he has had some serious amount of success in this short period of time as a phuchkawala. He had been to Australia for serving his phuchkas at different weddings as a part of the catering squad. Apart from Australia, he has been to Bangkok and several other parts of India. He is into this family business from the year 2007 and he is proud of his creations as a phuchkawala. He will provide you with a napkin after his service and will ask for your feedback. He will also give you a visiting card. He also sells his phuchkas outside Laksmipat Singhania High School and he rewards the topper of that school with free phuchkas for one year. Hats off to such a person who is trying to make others happy in his own exotic way. Biryani, a classic Mughul dish, had won all the hearts of the Indians a long time back with its mind-boggling taste and aroma. Now, Biryani is not limited to only one kind, there’s the classic Hyderabadi Biryani, the spicy Lucknowi Biryani, the Biryani of Kolkata which has got a sweet aroma or even the not so popular Sindhi Biryani. Well, there are many people among us who are madly in love with Biryani. If you have got the following signs you are in a seriously committed relationship with Biryani. 1. When you are invited to someone’s house for a dinner party or some other gala party and the only food that you are expecting is Biryani. And then your heart just breaks when you see polao or some mixed fried rice which is perhaps followed by some curses to the host underneath your breath for not cooking Biryani. 2. Whenever there’s an aroma of food, while there’s some cooking going on, the first thing that pops into your mind is a big bowl of Biryani. Whenever you want to analyze some nice odor that’s tingling your nose, the first thing that you want that dish to be is Biryani. 3. When you no longer care about the ambience in which you are eating your Biryani. The restaurant might be old and uninviting, but you are just happy and grateful to have a luscious plate of Biryani in front of you. 4. Whenever you go to some restaurant with your friends or family and the only food you want to have is Biryani. Without even considering the presence of your friends or family you order Biryani and also expect your friends or family members to do the same. 5. When you try to persuade not only your friends, but also your parents to fall in love with Biryani just like you have fallen. So that they too eat the same with you whenever you want to. 6. When you become very possessive of your plate of Biryani. You no longer even care about your little brother or sister, who expects you to share your plate of food with them. 7. When no matter what amount of pocket money you get or you are left with, you make it a point to have a nice, big plate of Biryani each and every weekend. Might as well possibly do it, so that your parents remain unaware of this fact. 8. When you dream that you are in a room full of the various kinds of Biryani that one can imagine having. Even better if you are in a room full of Biryani, the soft, juicy chicken, the sweet aroma of the spices, you see a swimming pool of Biryani and you are ready to plunge into it without a moment of hesitation. 9. Whenever you are sad or had a rough day, the only thing that puts a smile on your face is a Biryani plate. 10. Last but not the least, even though some might think that it’s too much I must tell them that you all don’t know what it’s like to be in love with food. It’s when you taste each and every grain of the Biryani and tearing the moist and tender chicken or mutton piece, you want that plate of Biryani to become a person so that you can marry him/her. So, be careful, if you think that you are in a seriously committed relationship with Biryani, try to get out of it before you become obsessive about it. Is there any person in this world who doesn’t like to eat delicious and succulent food? When it comes to food we all forget our differences and sit together to have an appetizing meal. In today’s world when everyone is so busy and tired from the drudgery of daily life. Something amazing was needed and luckily one company delivered just that. They brought together exceptional food and exceptional service. Food is delivered quickly and in top condition. It’s not always possible for a person to visit a restaurant all the time. Instead of going there, one may find it more convenient to have restaurant quality dinner at home. So why not get Mexican, Chinese, Japanese, and other types of food delivered to your home, while you are sitting comfortably on your couch and watching TV. After a hectic day, Swiggy is all you need to relax and treat your taste buds. The app makes your smartphone a virtual menu card. Okay? How to Get Swiggy on my Phone? It can be downloaded from the Google Play Store or iTunes Store. You can order your favourite food from your favourite restaurant which is present in your city. It doesn’t matter what is the price of the food that you are ordering and it also doesn’t matter what amount of food you are ordering. You can order a sumptuous meal for six people to a single meal just for you. What makes Swiggy so amazing? Swiggy has got its own list of restaurants and you can select any one of them and order something. If you find a restaurant about which you haven’t heard before or if there is a new restaurant that has opened in your city, Swiggy will give you its review or necessary characteristic features. On the basis of that you can order something from that particular restaurant. You can compare between the menus or the various kinds of cuisines that are offered in top restaurants. Swiggy shows you the list of restaurants according to their popularity among the people of the city. Another cool feature of this app is that you always have an eye on your food which you have ordered because it’s tracked. The delivery is lightning fast, you can pay them via card or by cash. Swiggy gives various kinds of offers and discount coupons too. Swiggy is an incredible app which every foodie must have on their smartphones. But be careful it is very addictive! Did you use Swiggy? Tell us about your experience! If you are a foodie, then you would agree with me that the best thing other than to eat food is to talk about it. According to me, the most pure and dedicated love in this world is the love towards food. Even if you break up with your lover or see an end of a serious relationship you will move forward with your life. But, you can’t move forward without food. Though I am a Bengali, I never discriminate between the various types of food that are found all across the world. My home is in a small town called Haldia in the state of West Bengal, but my father stays in Kolkata for his job. So, Kolkata is probably my second home and whenever I get to visit my dad, I make sure that I get to visit a new restaurant in the city. In Kolkata there are hundreds of restaurants, but I have a list of some which I visit all the time. 1. Arsalan – Located in Park Circus, this is probably the best restaurant to go to if you want to have Biriyani. Well, apart from the mouth watering Biriyani there’s also the incredible Rezala and the juicy and textural chicken reshmi kababs. So since I am a serious lover of Mughlai food, I love the experience of Arsalan. Though the only problem about that restaurant is the long queue outside. 2. Mainland China –This is one of the city’s best family restaurants with mind-boggling Chinese food. Whenever I get a chance to visit this restaurant with my parents, I love to try roasted lamb with rich bean gravy, golden fried prawns, spicy barbecued fish or some pan-fried noodles with chicken. What better place would be there on world to spend the Thanksgiving other than Mainland China with its tantalizing Chinese flavours? 3. Kasan – The Flavours Of India – I had really fallen in love with the food of North India during my trip to Haridwar and Mussourrie. So, I always visit this restaurant situated in Theatre road to have a fine dining experience. They give importance to the different occasions such as Valentine’s Day or Christmas or New Year’s Eve and such others. 4. Seven Seven Seven – A fine multi-cuisine restaurant located in Salt Lake, Sector 3, having an excellent ambience and top quality food has definitely earned a place in this list of mine. Also the service and hospitality is pretty good out there. 5. Kebab-e-Que – Since I love kebabs, it would have been very unfair if I had missed out this one. Till the 15th of December, 2016, there’s a Kebab Theatre that’s going in this restaurant situated in the Astor Hotel located in Camac Street. All types of kebabs are served in this restaurant and I can already smell the aroma of a juicy and tender chicken kebab. 6. 6 Ballygunge Place – In order to taste some authentic and mouth watering Bengali cuisine I would certainly want you to visit this place in Salt Lake. Check out their sumptuous lunch and dinner buffet. 7. Bohemian – Last but not the least, is this restaurant located in old Ballygunge, a restaurant that serves Bengali food in Bohemian style. Personally, I love restaurants that try to infuse some other kind of cuisine into our culture of food and this restaurant has been spot on when it comes to that. Personally I am planning to visit at least three of the above stated restaurants during this year’s Christmas. Food has always given me a kind of joy that nothing else in this world gives me. Do visit some of these restaurants with your family or alone to savour the taste of some the ambrosial food of Kolkata.